I walked by the front desk for the third or fourth time. I was trying to be casual about it, but the librarian kept looking up at me. I smiled at her and pretended everything was normal–pretended I wasn’t staring at the desk organizer. 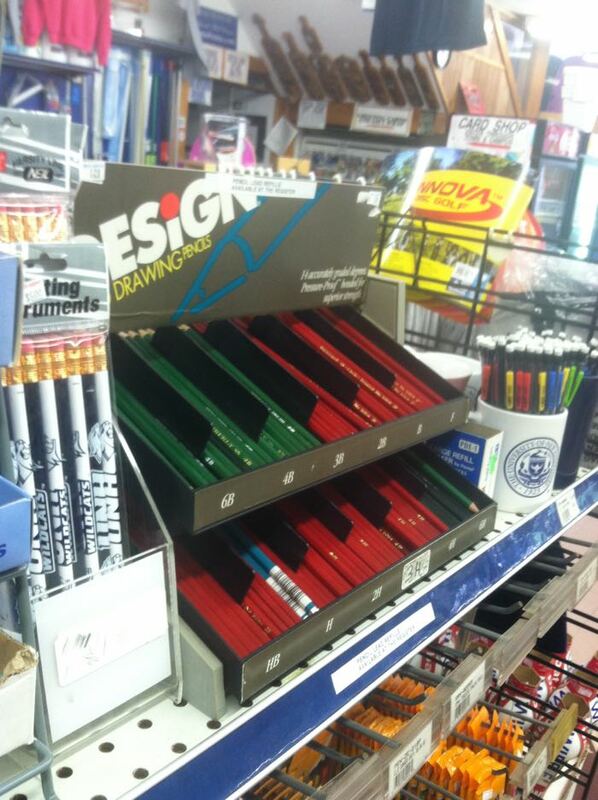 Because right there in that little organizer was a single, amazing, dark green pencil. I couldn’t make out the brand name. It had gold lettering and a brassy cap with no eraser. I’d never seen anything like it. 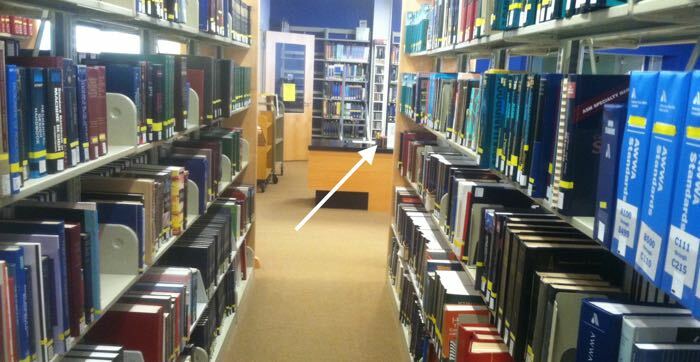 I passed by a few more times, and at one point, the librarian had left her post. So I stopped abruptly, right in front of the desk, pretending I’d suddenly thought of something important; I held up my index finger and nodded, and I scratched my chin, as if thinking, Yes, I will definitely need to write this amazing insight down somehow if only I… and then I pretended to notice the pencil, and to think, Hey look! A pencil! I’ll borrow that boring old thing for a few minutes to write down this incredible, world-changing idea. Then I casually took the pencil and walked away. The “Engineering, Mathematics, & Computer Science Library” at UNH is a great place to grab an armload of books and feel like a big genius. E.g., Hey, look at me, I’m gonna read “Topological Vector Spaces” and “Singularities of Differentiable Maps!” Yeah! Everything’s peach fuzz! Then you sit down and open one of the books, and you remember, Oh right, hundreds of pages of symbols you’ll never understand, even if you devote the rest of your life to them. So instead, you admire the loot. Wow! The KIMBERLY! You’ve never seen one before. You wonder if they’re still made. 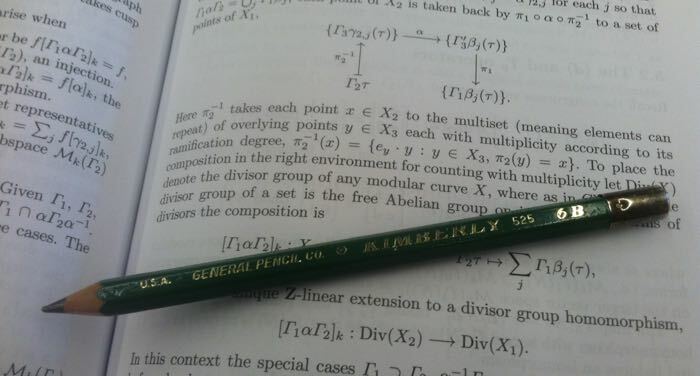 You weren’t familiar with the General Pencil Company. You were so young and naive then. In any case, you’re going to have to keep it. Nabokov says “Theft is the greatest compliment one can pay a thing.” In other words, stealing this pencil is just fine with Vladimir Nabokov. And Nietzsche says, “Life is justified aesthetically.” So stealing a pencil, as long as it’s done artfully, is fine with him too. You’re filling your head with quotes, building a little nest of justifications, in order to bolster your resolve. Your rational mind gets into that when you do something your wiser, intuitive self knows you shouldn’t. Because this is a heist. The library has free pencils for the taking, in a dedicated spot, and you know it. They’re boring blue pencils with white erasers and they have the library’s URL on them. Sure, pencils with URLs on them are depressing, but does that give you the right to reach over the desk and take the one pencil in the little desk organizer? Click. Whirr. Then empathy kicks in. What if the librarian looks forward to using that pencil every day on her way to work? That’s all it takes. You’d be a sad sack if your Kimberly disappeared. Of course you would. So you wait until the coast is clear again, and you walk by the front desk, and you put the pencil back. 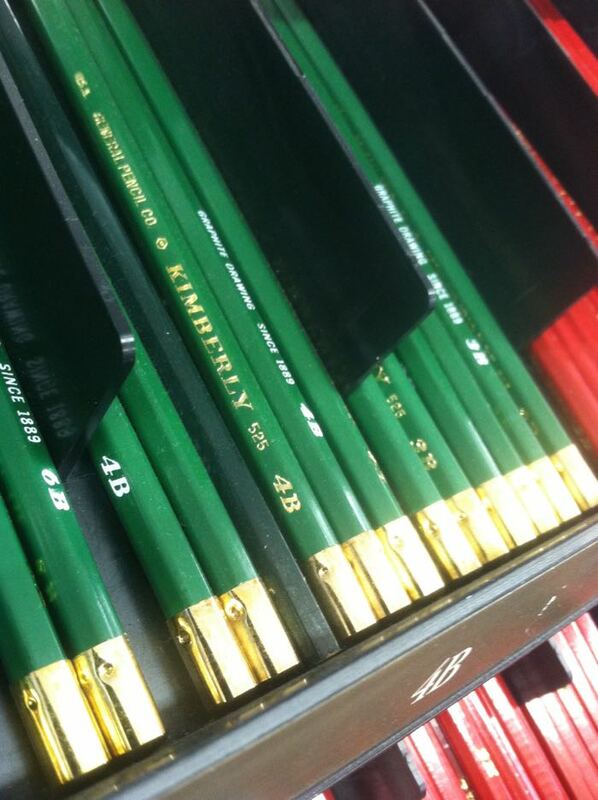 You think to yourself, I’ll never be a pencil thief at this rate. I’m just too darned sensitive. 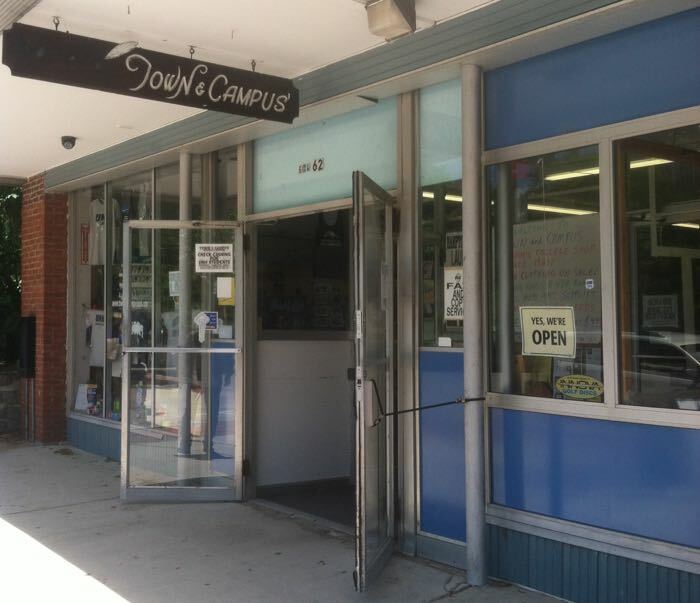 Later that week I was wandering around near the University, and I went in Town & Campus, a sort of general store for college students. These kinds of places are going the way of the dodo. I think some of the products they sell are no longer made. 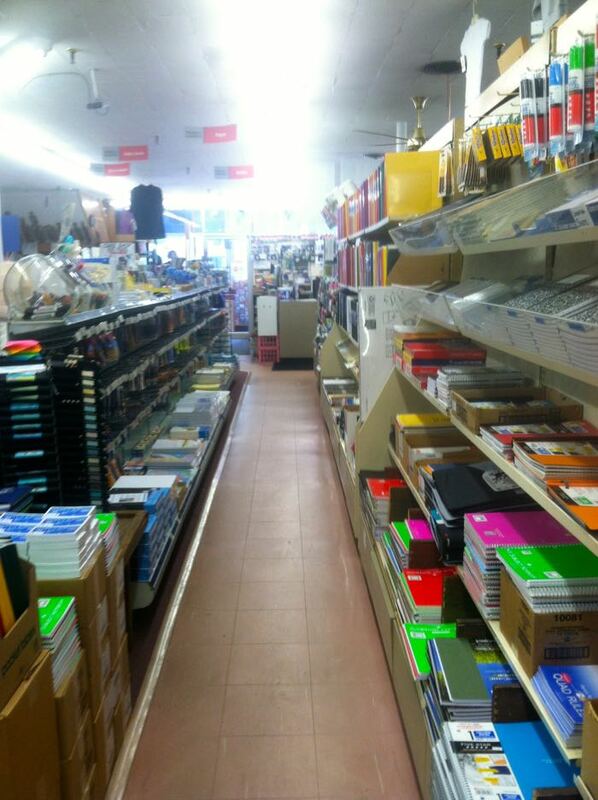 The factories are gone, so this is probably the last shop on Earth where you can still buy, say, this particular brand of spiral notebooks. 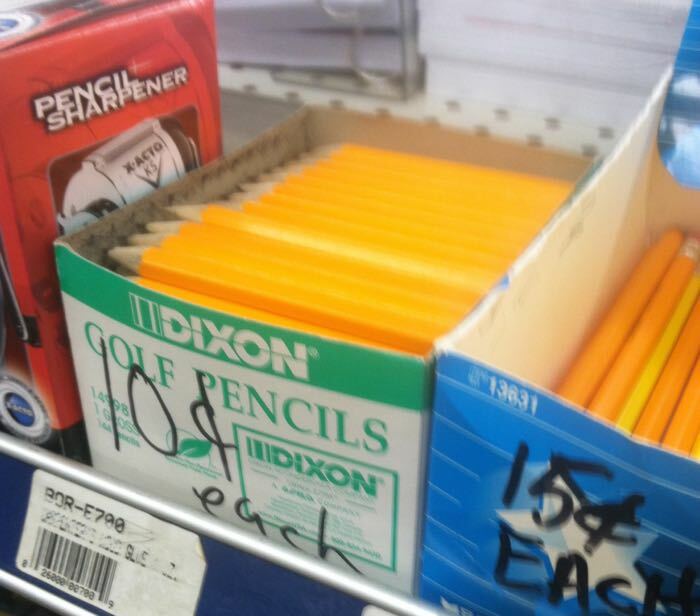 You can even buy a single miniature golf pencil.